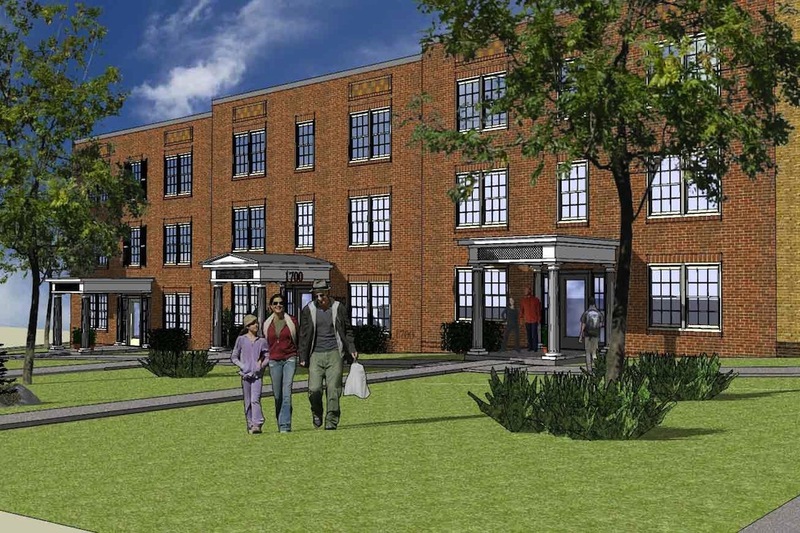 New, affordable condos at a formerly blighted building in Anacostia opened today. Located at 1700-1720 W Street SE, The Buxton is a 24-unit development by Manna, which acquired the neglected site last year. The firm has spent more than $3.3 million on the renovation, with a loan from the D.C. Department of Housing and Community Development. Mayor Vince Gray and Ward 8 Councilmember Marion Barry attended the opening ceremony, DCist reported. Half of the condominiums have been completed, and the rest will be ready for occupancy next March. The residences, all two-bedroom, two-bathrooms abodes, are 80 percent in contract. Each has a full in-unit washer and dryer, as well as a covered rear porch and central air. Amenities include an off-street parking lot with assigned parking for every unit. Fourteen of the 24 apartments are available to households earning up to 80 percent of the area media income, which is about $59,000 a year for a single person, Washington City Paper reported. These units will be priced slightly over $203,000; however, the city government will provide a loan forgiving part of the cost as long as the buyer stays in the home for 15 years, reducing the price to about $140,000. The other 10 units will be open to people earning up to 50 percent of the area median income, which is about $37,000 for one person. Those apartments will be priced at $159,000 ($95,000 if the buyer lives at the property for 15 years). The city is on pace to preserve or build 12,000 affordable units by 2020, according to DCist.